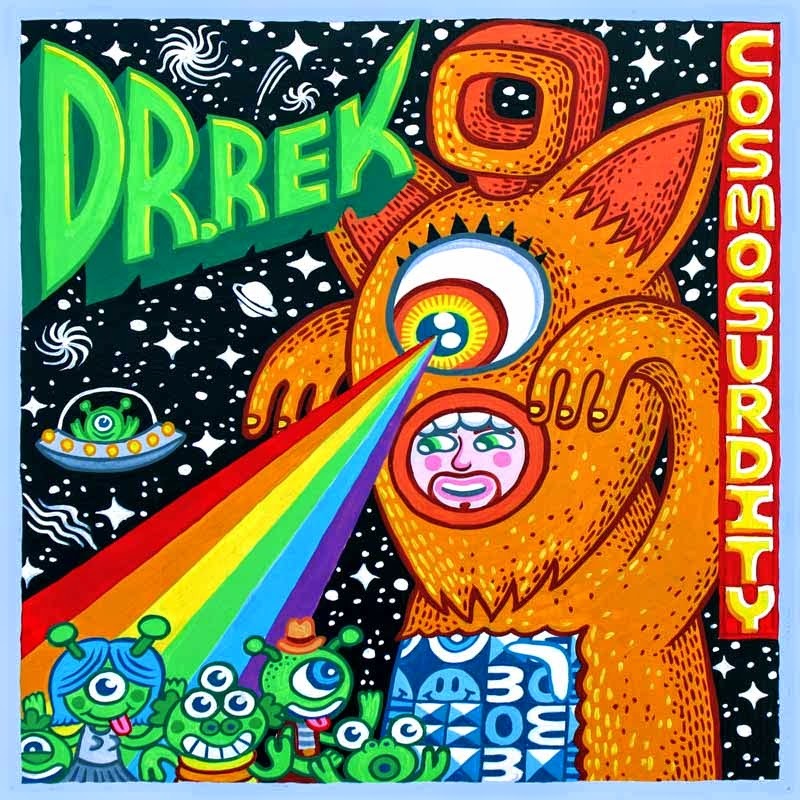 The artwork is based on Dr. Rek's costume that he performs in. I was inspired by classic Kaiju posters and the "cosmic" theme. Other images reference Acid House themes including "303" and Happy Faces.